Mi Phone one of the popular and no. one choice of budget phone by every one. 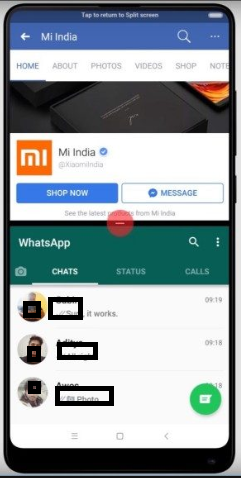 Mi phone is brand of Xiaomi which is a china based mobile pone manufacturer. All mi phone comes with customize MIUI version of android OS. Xiaomi used own customize android version with name of MIUI in their smart phones. With every new android version release Mi release new MIUI version based on latest android versions. you can get many super MIUI 9 new feature added in latest release ROM. But with Every MIUI version there are lot of new feature added which 90% MI phone user not know. 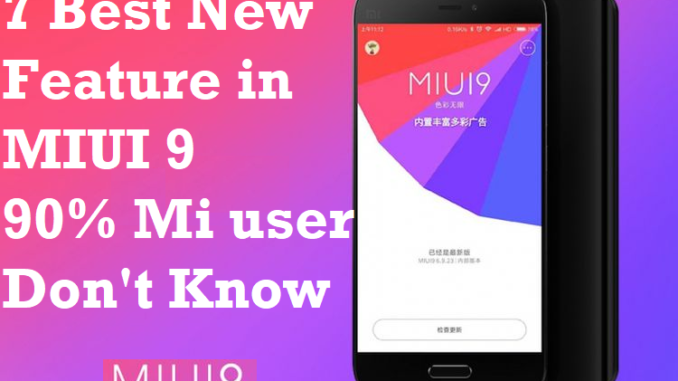 In this post I will disclose 7 best new feature added in MIUI 9 which 90% mi phone user now aware about it. If you are a MI phone user and using any of the below mi phone model number than you can get new feature by upgrading your MIUI 8 to MIUI 9 based on Android nougat. 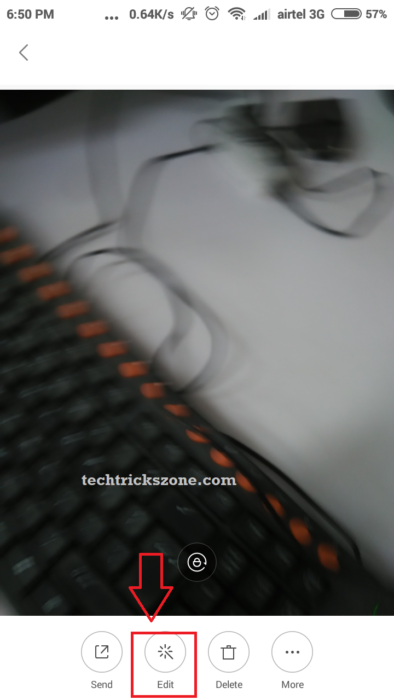 To know how to upgrade MI Phone see here step to step user guide. MIUI 9 Best New Feature Added in MI Phones. If you still running on older MIUI version than update your phone to get these new feature on your phone which can use ful you. Group Unimportant SMS in separate folder. Inbuilt Clean UP Apps on File Explorer. Quick ball is a popular feature of I Phones but now you can also enjoy this feature if you are MI user. To get quick ball to open any apps faster from home screen you required upgrade your MI Phone to latest MIUI 9 version. 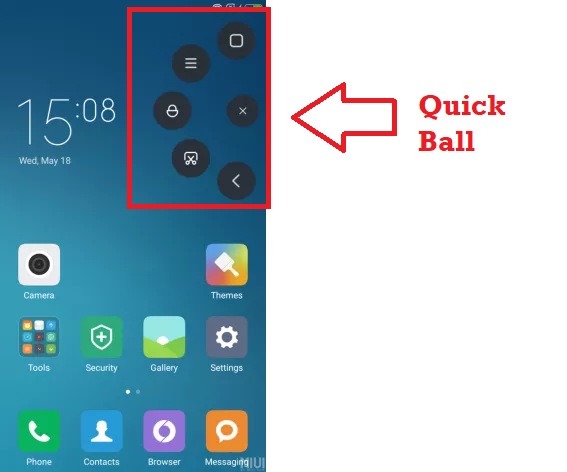 After Upgrade your MIUI 9 you can enable and set apps on Quick ball from Settings—Additional Settings- Quick Ball option. To set Quick ball position in home screen tab and move ball to fix place you want to keep. Screen recorder is a one of the best feature added in MIUI 9. There are many time we face when we feel not have any apps to record screen of phones. But now you can record you screen activity without using third party Apps. 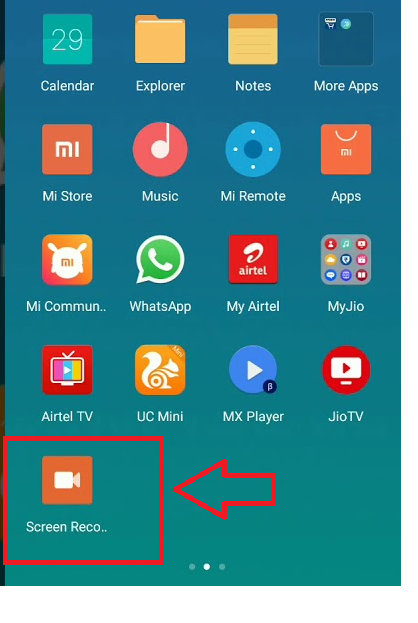 Just update your MI phone with latest MIUI version and get the Screen recorder inbuilt. 3:- Split Screen for Multi Task. When Android nougat was release than it possible to use multi apps in same screen. In MI phones it’s comes with MIUI version 9 which possible to use 2 apps same time without closing and switching apps. It just like a mini computer where you can operate two application same time. If you still not get multi task feature in your phone than upgrade your MI phone right now to enjoy multi-tasking work without switching Apps. It’s very tired task when you have a long paragraph to screen shot it but you can only capture size which show on your mobile screen. But Mi gives you’re the power of capture any size screen shot by scrolling image or paragraph until it finish or you close. 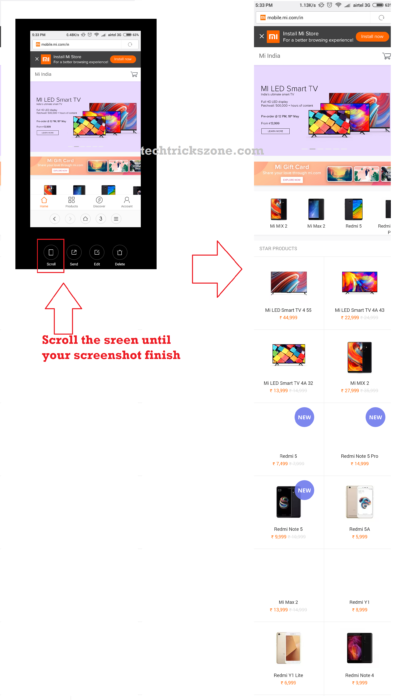 In simple word capture the screen without taking multiple screen shot of single page, just capture complete size in single screenshot. 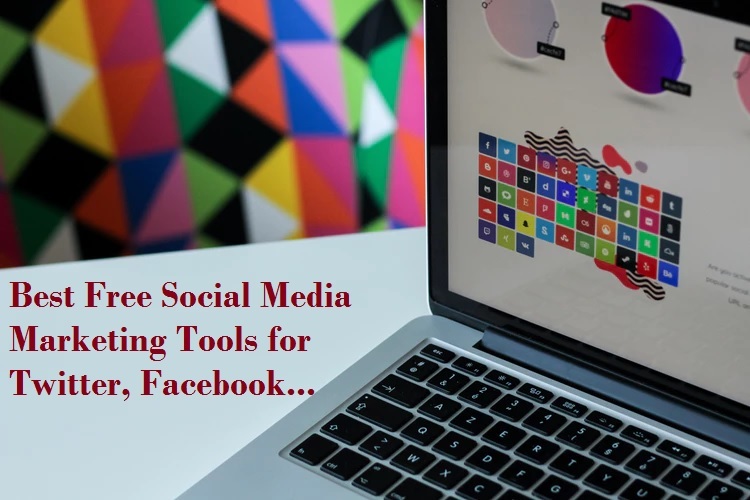 IF you are not a MI user than you must require picture editor to crop or edit any image. But if you are MI phone user but still using third party picture editor than you are not aware of new feature inbuilt image editor on MI latest ROM version MIUI9. Just remove the third party picture editor and upgrade your MI phone with MIUI9 ROM version and enjoy the direct editing any image without going any third party image editor. 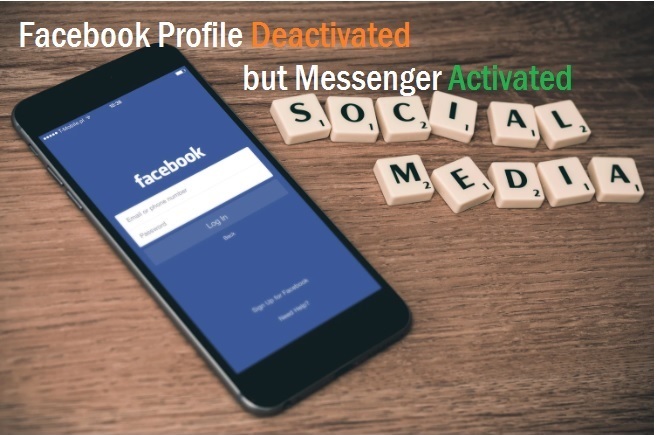 6:- Group Unimportant SMS in separate folder. Since you are using MI phone you may fight to find an important SMS within thousands of SMS in single folder. In a regular way all phone store message in single folder and all messages mixed. When you want to check any important message than you have to check one by one because of mixing of important and un important message. 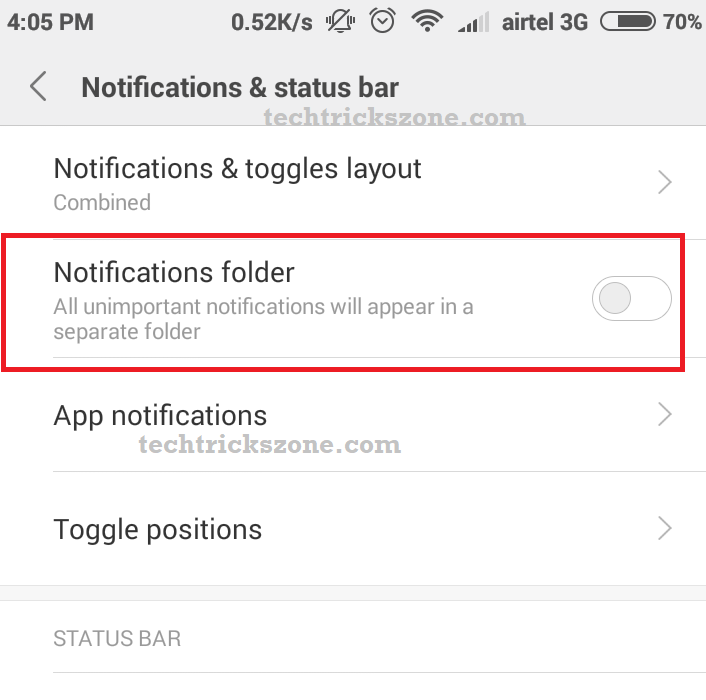 But MIUI9 finally solve this complicated issue because MIUI 9 gives you to enable the feature where you all unimportant message will store in single folder called “Notification”. If you already upgraded and don’t know how to enable unimportant messages store in separate folder than see below to enable it. 7: Inbuilt Clean UP Apps on File Explorer. This is most important feature because it’s related to your phone speed and performance. When you phone store too much cache and temporary file than phone start slow down. 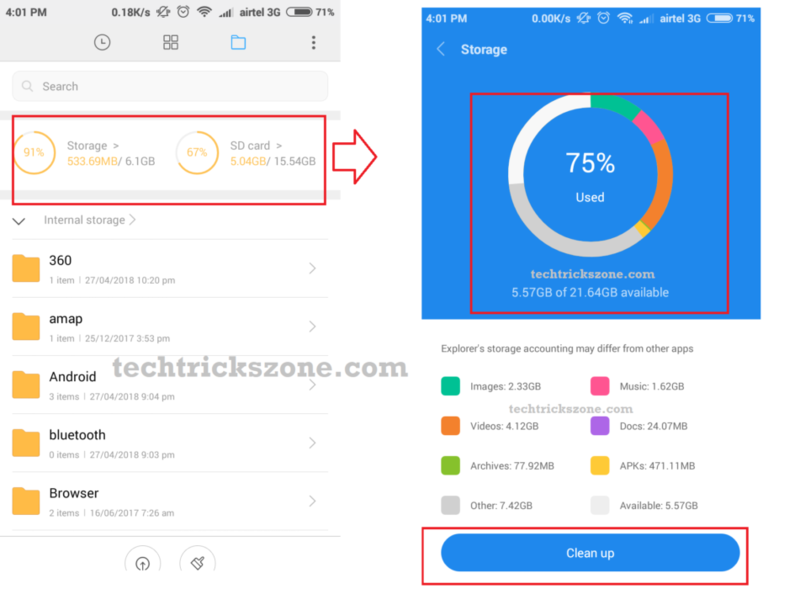 MIUI 9 gives you a inbuilt clean up feature on file explore where you can clearly see graphically temp file stored and clean up data directly without using any clean master apps and temp cleaner apps. As MI phone already give a temp cleaner inside security Apps but now it’s easier to use because you can directly see storage status and temp file status on file explorer.